Father John and Matushka Alexandra lead a Volunteers in Mission (VIM) team to the Mission of San Juan Climaco (St. John Climacus) in Puerto Rico in late October to help prepare for the arrival of ROCOR Metropolitan Hilarion on November 8. 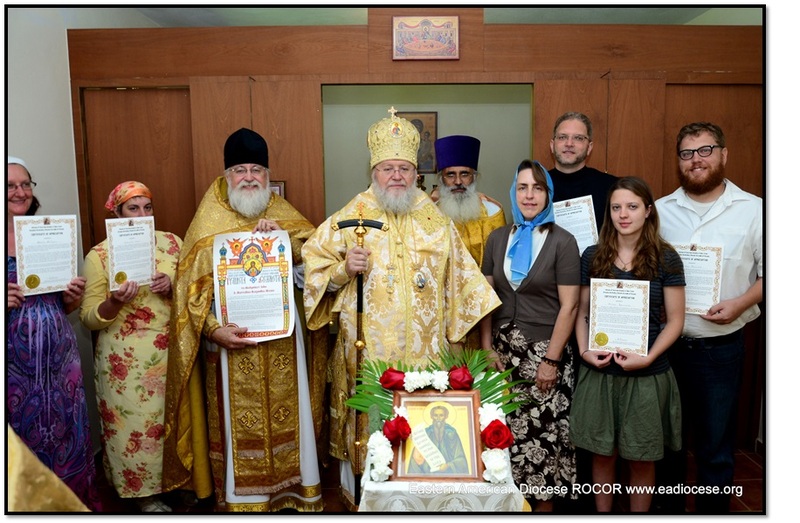 A diocesan Gramota (certificate of blessing) was awarded to Fr. John and Matushka Alexandra Moses for their exemplary work with the Volunteers in Mission (VIM) Program. Fr. John led a group of volunteers who spent a week helping the mission prepare for the Metropolitan's visit.